Below are summaries of select, noteworthy state and local tax (other than property tax) decisions issued by Illinois federal and state courts and the Illinois Independent Tax Tribunal (Tax Tribunal) within the past year or so, in reverse date order of publication. Republic Bancorp Co. v. Beard, Director of Rev., et al., 2018 IL App (2d) 170350 (2d Dist. June 8, 2018). S corporations are subject to Illinois Personal Property Tax Replacement Income Tax (replacement tax) on their income, but are allowed a deduction for income passed through to shareholders that are also subject to the replacement tax to avoid double taxation. Republic, an S corporation, claimed a deduction from its taxable income for income passed through to its shareholders (all of which were grantor trusts), based on the argument that each of the grantor trusts was subject to the replacement tax. The Department disallowed the deduction and assessed Republic with additional replacement tax. Republic paid the tax under protest pursuant to the state’s “Protest Monies Act” (30 ILCS 230/2a). On cross-motions for summary judgment, the trial court ruled in favor of the Department and the Appellate Court affirmed. The Appellate Court agreed with the Department and trial court that grantor trusts are expressly excluded from being subject to replacement (and income) tax and, therefore, Republic was not entitled to its claimed deduction. Labell et al. v. City of Chicago et al., 2015-CH-13399 (Cir. Ct. Cook County, May 24, 2018). The Cook County Circuit Court granted the City of Chicago’s motion for summary judgment to uphold the City of Chicago Comptroller’s imposition of the city amusement tax on streaming services delivered electronically (e.g., Netflix, Amazon Prime, Xbox Gold). The amusement tax is imposed on those streaming service customers with a residential street address or primary business address in Chicago, as reflected by the customer’s credit card billing address or zip code. Based on the finding that live performances (receiving preferential Chicago amusement tax rates) and automatic amusement machines are sufficiently different from the streaming services, the court ruled that the amusement tax on streaming services did not violate (i) the Internet Tax Freedom Act (prohibiting discriminatory taxes on electronic commerce), or (ii) the uniformity clause of the Illinois Constitution. The court also found that the amusement tax on streaming services satisfied the U.S. Constitution commerce clause under the four-part test set forth in Complete Auto Transit v. Brady, 430 U.S. 274, 279 (1977). Finally, the court found that using the customer’s Chicago billing address to impose the amusement tax on streaming services was a proper exercise within the city’s home rule authority. One of the defendant retailers was added to the case, even though the defendant was already before the Department’s Informal Conference Board with an appeal involving the same issue. The retailer moved to dismiss plaintiff’s amended complaint adding it as a defendant, on the grounds that the Illinois False Claims Act’s “government action bar” prohibits a qui tam claim if the named defendant is already subject to an administrative civil money penalty proceeding (740 ILCS 175/4(e)(3)). The trial court granted the defendant retailer’s motion to dismiss, and the Appellate Court reversed. The Appellate Court held that the proposed liability and the defendant’s appeal of the proposed liability to the Informal Conference Board did not qualify as an administrative civil money penalty proceeding because the audit and the Board’s review were investigatory in nature and were steps in an administrative process, rather than an administrative proceeding. magicJack Vocaltec, Ltd. et al v. City of Chicago, Dep’t of Finance, 2018 IL App (1st) 171015-U (1st Dist. March 21, 2018)*. In magicJack, the plaintiffs challenged the City of Chicago’s authority to assess the Chicago Simplified Telecommunications Tax and Emergency Telephone System Surcharge because the plaintiffs did not have physical nexus with Chicago. The plaintiffs filed their initial protest with the City’s Department of Administrative Hearings, but two months later filed a separate cause of action in the Circuit Court of Cook County requesting declaratory and injunctive relief. The City filed a motion to dismiss the circuit court case based on the plaintiffs’ failure to exhaust their administrative remedies. The Circuit Court granted the City’s motion and the Appellate Court affirmed. The Appellate Court acknowledged that although the plaintiffs raised a viable argument for filing their initial action contesting the City’s authority to tax plaintiffs directly in circuit court, the circuit court was without jurisdiction to hear the matter until the plaintiffs exhausted their elected administrative remedies. In reaching its decision, the Appellate Court rejected the plaintiffs’ claim that it had raised a “facial” challenge to the constitutionality of the tax ordinances, an issue outside the jurisdiction of the Department of Administrative Hearings. McIntosh v. WalgreensBoots Alliance, Inc., 2018 IL App (1st) 170362 (1st Dist. April 23, 2018)*. The plaintiff filed a class-action complaint seeking damages under the Illinois Consumer Fraud and Deceptive Trade Practices Act from the defendant for imposing and collecting Chicago’s Bottled Water Tax on certain beverages (i.e., sparkling water) exempt from the tax. The defendant filed a motion to dismiss based on the voluntary payment doctrine because the tax was disclosed at the time of purchase and the tax collected was remitted to the state. The Circuit Court granted defendant’s motion to dismiss. In reversing the Circuit Court, the Appellate Court held that the voluntary payment doctrine does not apply because the plaintiff had sufficiently alleged a consumer fraud claim based on a deceptive practice or act in the nature of fraud. Waste Management of Illinois, Inc. v. Ill. Indep. Tax Trib. et al., 2017 IL App. (1st) 162830-U, Dec. 29, 2017*. 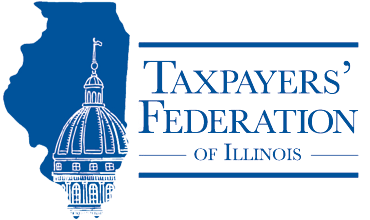 The First District of the Illinois Appellate Court reversed the Tax Tribunal, which had held that compressed natural gas (“CNG”) is subject to Illinois motor fuel tax for periods prior to July 1, 2017. In reaching its decision, the Appellate Court determined that the 2017 legislative change to expressly include CNG in section 2 of the Motor Fuel Tax Law was a prospective amendment. For the earlier periods at issue, the Appellate Court held that the statutory definition of “motor fuel,” which includes only liquids, is not ambiguous, and that it was clear to the court that the legislature went to great lengths to explicitly exclude CNG from the meaning of “special fuel,” a subset of taxable motor fuel. The Department’s argument that CNG fits within the motor fuel catch-all definition “among other things” was not persuasive to the court, given the clear legislative intent to limit the motor fuel tax to only liquids, and the expressed omission of CNG from the definition of “special fuels.” The Appellate Court also determined that the requirement for distributors to report CNG sales on their Illinois motor fuel tax returns was not tantamount to the legislative intent to tax CNG, as there can be unrelated reasons to capture such information on the return, such as Illinois being a member of the International Fuel Tax Agreement. Citibank N.A. v. Ill. Dep’t of Rev., 2017 IL 121634, Nov. 30, 2017. The Illinois Supreme Court reversed the appellate court and upheld the Department of Revenue’s denial of Citibank’s refund claim for Illinois sales tax it had paid when purchasing consumer charge accounts from Illinois retailers, on a non-recourse basis, which charge accounts were subsequently written off on Citibank’s federal income tax returns as “bad debts.” Citibank argued that it could file refund claims directly with the Department, even though it was not the retailer that had remitted the overpaid taxes to the state, because the retailers had assigned their rights to the customer’s accounts to Citibank, including the right to file claims for refund. The Department argued that only the retailer remitting the tax can file a claim for refund under the Retailers’ Occupation Tax Act, and that this statutory right cannot be assigned. In ruling in favor of the Department, the Illinois Supreme Court held that there is a clear legislative policy in Illinois, supported by case law, that requires refund claims to be submitted by the remitter of the tax (i.e., the retailer) to avoid improper refunds, and that retailers cannot therefore assign this refund right to third-parties. Village of Bedford Park, et al. v. Expedia, Inc. et al., No. 16-3932 (7th Cir. Nov. 22, 2017). The Seventh Circuit Court of Appeals held that online travel booking agencies are not “owners, operators, or managers” of hotels, or engaged in the business of renting hotel rooms, and were therefore not required to collect and remit municipal hotel taxes. See also City of Chicago v. Expedia, Inc. et al., 2017 IL App (1st) 153402 (1st Dist. April 26, 2017), in which the Appellate Court ruled in favor of online travel book agencies on the same issues, but the decision was vacated by the court shortly after publication because the parties reached a settlement one day before the decision was issued. City of Chicago et al. v. City of Kankakee et al., 2017 IL App. (1st) 153531, Sept. 29, 2017, (petition for leave to appeal to Ill. S.Ct. granted Jan. 1, 2018). The Appellate Court reversed the Circuit Court and held that the court had jurisdiction to rule as to whether certain sales were incorrectly sourced for purposes of local sales tax to the City of Kankakee and to the Village of Channahon, and that the City of Chicago and Village of Skokie had alleged in their fourth amended complaint a proper claim for unjust enrichment. The Plaintiffs argued that the Defendants had diverted use tax revenues from the State of Illinois (a percentage of which would be paid to the Plaintiffs) by paying incentive rebates to retailers for sales that were actually made outside of Illinois, but incorrectly reported as being accepted for purposes of sales tax in Kankakee and Channahon (and, as a result, those cities received the local allocation of the tax on those sales). The Defendants argued that the Department of Revenue has exclusive jurisdiction to resolve Plaintiffs’ claims, which seek to redistribute state taxes among local governments, and that the Plaintiffs cannot recover in equity (i.e., for unjust enrichment) when there is a statutory remedy available. State of Illinois ex rel. Stephen B. Diamond, P.C. v. Lush Internet, Inc., 2017 IL App. (1st) 161601-U, Sept. 25, 2017*. In an Illinois False Claims Act case, the Illinois Appellate Court held that an online cosmetics retailer did not have a duty to collect and remit Illinois use tax on sales shipped into the state because the online retailer did not have substantial nexus with Illinois under the Commerce Clause of the U.S. Constitution. The Appellate Court determined that the online retailer lacked sufficient nexus with Illinois because it did not have a physical presence in the state. The Court also found that agency-nexus was not present between Lush Internet and the separate legal entity that operated brick-and-mortar stores under the “Lush” name in Illinois. Premier Auto Finance, Inc. v. Ill. Dep’t of Rev., No. 15 TT 175 (Ill. Indep. Tax Trib. Sept. 7, 2017). In Premier, the Chief Administrative Law Judge for the Tax Tribunal ruled that insurance is a “service”, and therefore entities engaged in the business of financing insurance premiums may qualify as “financial organizations” (and, more particularly, “sales finance companies”) for purposes of being included in a unitary business group with other financial organizations. The taxpayer has appealed this decision. Illinois Retail Merchants Assoc. et al. v. Cook County Dep’t of Rev. et al., Case No. 17 L 50596 (Circ. Ct. July 28, 2017). The Cook County Circuit Court dismissed a lawsuit filed by a group of merchants led by the Illinois Retail Merchants Association challenging Cook County’s adoption of a “soda tax” under the Cook County Sweetened Beverage Tax Ordinance. The court determined, among other things, that the County had established justification (i.e., administrative convenience) for differentiating between arguably similar beverages, which justification the merchants had failed to establish was insufficient as a matter of law, and that the tax reasonably related to the object of the legislation, which was to promote public health. Shortly after Plaintiffs filed their appeal of the Circuit Court decision, the Cook County Board voted to repeal the highly controversial tax. Illinois ex rel. Stephen B. Diamond, P.C. v. My Pillow, Inc., 2017 IL App. (1st) 152668, June 15, 2017 (petition for leave to appeal to Ill. S.Ct. granted Sept. 27, 2017). In My Pillow, the Relator, a lawyer, filed a qui tam action under the Illinois False Claims Act, alleging that My Pillow knowingly failed to collect and remit use taxes on merchandise sold at craft shows in Illinois and also on Internet and telephone sales to Illinois customers. According to the court there was sufficient evidence to find that My Pillow acted in reckless disregard of its obligation to collect and remit use taxes on its Internet and telephone sales. As a result, Relator was entitled to trebled damages arising from unpaid taxes (including taxes paid after Relator’s complaint was filed), but not attorney fees for work performed as his own lawyer. The Appellate Court determined that to allow the Relator to collect attorney fees for representing himself is not in accordance with the purpose of the fee-shifting provision of the Illinois False Claims Act, could encourage abusive fee generation (i.e., the case could become more about generating fees than vindicating wrongs), and could discourage the engagement of objective legal counsel. My Pillow was argued before the Illinois Supreme Court on May 22, 2018. Hertz v. City of Chicago, 2017 IL 119945 (Jan. 20, 2017). The Illinois Supreme Court held that the City of Chicago did not have jurisdiction to require car rental agencies located outside the City of Chicago to collect and remit Chicago Personal Property Lease Transaction Tax for car rental transactions occurring outside of city limits, even if the rental customer is a resident of Chicago. The Court determined that to allow the City to impose the tax and enforce its taxing jurisdiction beyond its borders, would result in unconstitutional taxation of extraterritorial activities. * The Appellate Court’s decision was issued under Illinois Supreme Court Rule 23, and can therefore not be cited as precedent. David is a member of Reed Smith’s State Tax Group in the Chicago office. David’s primary practice area is tax controversy, including federal and state tax audits, appeals, Illinois independent Tax Tribunal disputes, administrative hearings, conciliation and mediation conferences and judicial litigation at all levels throughout the United States. Jeremy is a member of Reed Smith’s State Tax Group in the New York office. Jeremy focuses his practice on state and local tax issues, including sales and use tax, corporate income, and franchise tax.